“Cyber war is coming,” announced a land-mark RAND report in 1993. In 2005, the U.S. Air Force boasted it would now fly, fight, and win in cyberspace, the “fifth domain” of warfare. 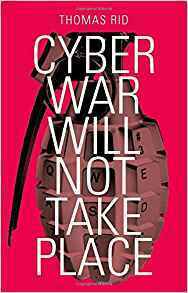 This book takes stock, twenty years on: is cyber war really coming? Has war indeed entered the fifth domain?